Deal – Get upto 38% Discount including cashback at Restaurant Jungle Jamboree – New Delhi & Gurgaon location on Buffet lunch / Dinner & drinks. A range of 7 international dishes are served at the table to be shared at this lavish jungle space. Jungle Jamboree offers 7-Course On Table Food & Drinks Buffet in a mesmerizing theme environment with a Mystic Jungle, Exotic Aqua Cave, Hunters Lodge & Refreshing Sky Garden. Located in Gurgaon, this restaurant offers one of the biggest food and drinks buffet with 7-courses from Indian, Oriental & European Cuisines. The impeccable interiors make the dining experience classy and comfortable. The little ones too have a great time with a dedicated kids play area with swings, ball pool, puzzles & more! Jungle Jamboree is located in Connaught Place, New Delhi. 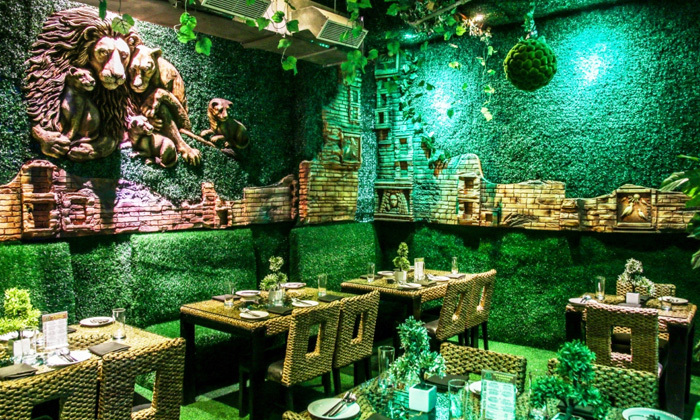 The have a tri-themed restaurant in 3 floors, each designed in a different theme like Exotic Jungle Ruins, Mesmerizing Aqua Cave, an Adventurous Hunters Lodge, Fantasy Jungle and a dedicated Kids Play Zone. Each floor of the restaurant serves different type of cuisines which includes Indian, Oriental, Continental, Mughal and Italian. I need some discount voucher for lunch in jungle jamboree at noida location on coming friday(30/11/18) for 7-9 people. Any Coupon for Jungle Jamboori Gurgoan? 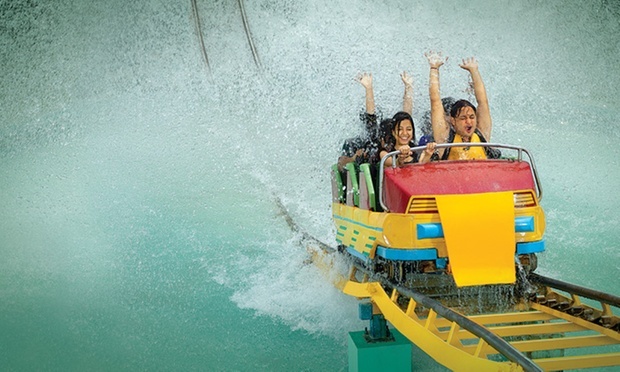 Any coupons for Jungle Jamboree Noida? We requested you to contact Nearbuy customer care regarding table booking before purchase of that voucher. They will surely help you. @ 080-660101017 Days a week.9AM -10PM. hello i want to book buffet for 20 november for 10-12 person in Jungle Jamboree. What is offer/coupen? Use code : 15PERCENT to get 15% cashback (Max. cashback Rs.1000). Valid only on 15th – 17th Nov 11:59 PM.3 Transactions per user. I have to throw birthday dinner party at jungle jamboree for 25 people on 28th Sep. Please provide the discount coupon. I have 34 guests for dinner at jungle jamboree on 7th July Thursday .kindly give me a good deal. You can get 5% discount if you use coupon code BULK5 on purchase of minimum 10 vouchers of a single offer. You can get 10% Cashback on IndusInd Bank Credit Cards or American Express cards. You can save upto 15% more on above deal apart from coupon code, if you pay using Nearbuy credits. To buy Nearbuy credits – Click Here. Therefore based on above deal, we suggest you to buy Nearbuy credit worth Rs.30000. Maximum you can buy in 1 transaction of Rs.10000, therefore you need to buy 3 credit voucher of each of Rs.10000. Buy from 3 Account. For Rs.10000 credit, you only need to pay Rs.8500, which is 15% extra saving. When you get credit in your account, then buy Jungle Jamboree deal from above link and use cupon code BULK5 during transaction to get 5% off on purchase of minimum 10 vouchers of a single offer.